I saw the lovely Em from adayinthelifeofems do a post on things she'd want if Christmas was tomorrow which is HERE and said that if anyone wanted to do it as a tag they could, I really liked her post so thought I'd get the ball rolling and join in all the fun. :D This could possibly give my twin sister Ally a few ideas of what to get me or my friends ideas too. ;) It's never too early to start thinking about Christmas presents in my eyes. I am a big fan of Taylor Swift, as I've mentioned many times before. ;) I did a post HERE on the sample I got sent of the perfume back in August and absolutely loved it, I am trying to use as little as possible until I actually get myself the proper bottled perfume. It just has such a sweet smell to it and isn't too strong. About 2 or 3 years ago my mum got me the gift set to Avril Lavigne's perfume 'Black Star' it had literally just come out around about Christmas time. I can't even describe how amazing it smelt, if I could send you all a bottle I would. :( Because it was a gift set I also got a cream which smelt quite similar to the perfume and was so nice on my skin. I just really want it again because it lasted me so long, Avril also had another perfume out a year after the first one which I'd love to try. This blazer is such a beauty, it's from Topshop for £65.00 and I need it in my life. I LOVE blazer's and really get a good wear out of them. I only actually own one blazer but I just find that it's easy to pair with anything and everything, whether that's a dress and boots or jeans and a fancy top it always goes well together. I know the blazer is quite pricey but I know it would just do the job. Disco Pants are literally becoming so popular and I still don't own a single pair. :( I just love that you can pair disco pants with jumpers or a nice top or literally anything and I just know they'd come in handy with my wardrobe. I generally think that everyone suits disco pants. I know the AA ones are rather expensive but I'd rather go for one of the dupes, probably the ones from Very. I have been lusting over JC's for ages now. It's like a whole new world of shoes when you're trying to figure out which pair you want the most, after months and months of trying to decide, I definitely want the plain black leather Lita's. You can get the suede ones but I always find that suede shoes seem to get ruined really easily, either getting something sticky on them or just wearing out really easily. I think for my first pair these are definitely the best, black heels actually go with everything. I really like Topshop nail polishes and think that £6 is so affordable for them. I've really wanted 'Adrenalin' for a while but it's a pain that you can't get it online only in store, It's a nice girly glitter colour and perfect for the coming Christmas holiday. 'Gypsy Night' looks amazing because it's a black sparkly colour and I think that dark colours are really in season at the moment in nail polish and lipstick and just go nicely. Finally, 'Nails In Solar' is a really nice gold colour, it's really different from any nail polish that I've own and I really want to just experiment with it. Who isn't after this amazing brown bag from Zara? I think for the majority of us we've all probably wanted it and got it or for others like me wanted it but not yet purchased it. *Sad times. * Primark & eBay do amazing dupes of the bag and even though I really want to purchase the Primark one too, it just isn't as satisfying as having the real one. I don't really have that much to carry to college so I won't overfill it and it's just super stylish. Lauren Conrad is my biggest inspiration. I've loved seeing her over the years in Laguna Beach and The Hills, I've loved seeing her style change over the years and it has really inspired me. I've wanted to get my hands on both of her books as they're both about 'Style' & 'Beauty' and reading some reviews on them, people say they're really good for people who are sort of newbies to the whole makeup and style world *definitely me. * I thought, not only will I really enjoy reading Lauren's books but I think it'll help me out massively with my own style/look and with my blog. Thanks lovely! :D I seriously need to get my hands on it, ooh thank you for the recommendation! aw this is such a good idea for a post, i love it! 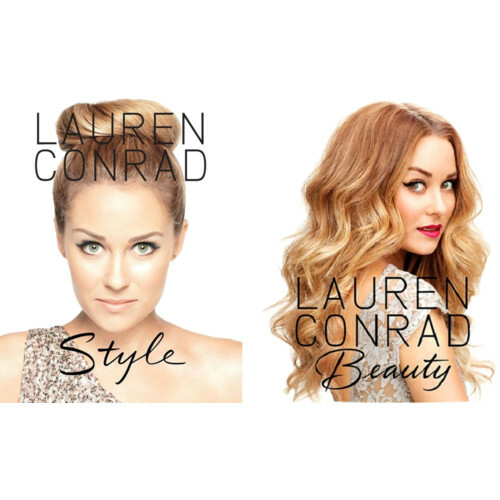 definitley with you on the Lauren Conrad books i have had my eye on them for ages!! I have that Zara bag in black and it's such a good investment piece! great choices! Lovely blog, I'm a follower now :) Those shoes are gorgeous, I think I need some!